You are here: Home / Uncategorized / What is TABATA training? Anyone who has done a PT session or HIIT (high intensity interval training) studio class with me will know I am a big fan of TABATA training, however, there is some mystery around what it actually is and how it is different from HIIT. Firstly, its actually not different from HIIT it is a type of HIIT. 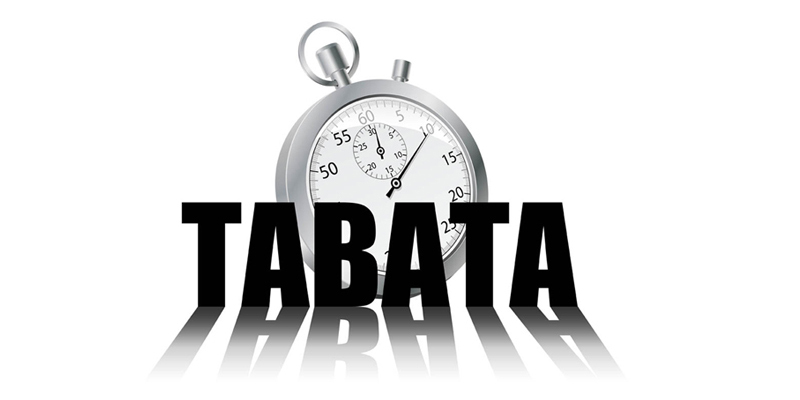 I’ve had a couple clients recently ask me what is TABATA so I thought I would put a link in here and explain it more. The exercises can be all the same (as per the original study by professor Izumi Tabata who the regime is named after) i.e. Tabata on a bike (my tri clients now this one well) where you do a warm up, then 20sec max effort, 10sec Rest x 8 then cool down. Or it can be rounds of different exercises, i.e. star jumps for 20sec, rest 10sec, burpee for 20sec, rest 10, ice skaters for 20sec, rest 10ec ….etc…. There are loads of Tabata apps available free, why don’t you load one and give it a try today. Just make sure you do a warm up and cool down first if doing the classic style of 1 round on a bike. Or you could try a modified tabata session doing various different exercises – start by doing one round of exercises, then resting or doing active recovery for 5 minutes before getting into a second round of 8 exercises. I build up these sessions to doing about 6-8 total rounds over the course of an hour long session – an excellent workout. A version of HIIT was based on a 1996 study by Professor Izumi Tabata (田畑泉) et al. initially involving Olympic speedskaters. The study used 20 seconds of ultra-intense exercise (at an intensity of about 170% of VO2max) followed by 10 seconds of rest, repeated continuously for 4 minutes (8 cycles). The exercise was performed on a mechanically braked cycle ergometer. Tabata called this the IE1 protocol. In the original study, athletes using this method trained 4 times per week, plus another day of steady-state training, for 6 weeks and obtained gains similar to a group of athletes who did steady state training (70% VO2max) 5 times per week. The steady state group had a higher VO2max at the end (from 52 to 57 mL/(kg•min)), but the Tabata group had started lower and gained more overall (from 48 to 55 mL/(kg•min)). Also, only the Tabata group had gained anaerobic capacity benefits. In the original study from 1996, participants were disqualified if they could not keep a steady cycling pace of 85RPM for the full 20 seconds of work.